I have believed in magic all my life. From some quarters I get a fair amount of stick about it, but I won’t be changing my mind about it any time soon. If it were available my website would definitely be called AwayWithTheFairies.com. My favourite nail polish is called La La Land and my best friend says that’s highly appropriate ‘cos that’s where I live most of the time. These are the jokes, folks. And we laugh, we do. Mostly. And mostly any sort of negative blowback on my magical take on life and on what counts for magic in my world, well, it rolls off my back. Sometimes it upsets me, but mostly I don’t allow it to knock me off my magical course. Mostly. I enjoy plenty of everyday magic for myself. I do. Always have, that’s why I believe in it, because it is my reality. As a child on holidays from boarding school, I had only to think of a friend and she would call or a letter would arrive; we used to write letters then. I can guarantee myself a parking space easily throughout London which, let’s face it, even with the Congestion Charge, is one of the most traffic-intense cities in the world. And I can pretty much always get a taxi in the rain, something most Londoners consider impossible or at the very least a trick worthy of Derren Brown. A lot of this is about what I believe, what I choose to believe, about what I can easily manifest. But even I recognise that this is Small Magic. Telephone calls, letters, parking spaces and taxis can be described as luck, good planning or synchronicity. Many would see no magic in that at all even. Because when it comes to my clients, I am not in their league. They do Big Magic. And I’d be lying to you if I didn’t confess that sometimes I think to myself – on a bad day – (read this bit in a whiny tone): “That’s a bit unfair. All I get is Small Magic but they get the big stuff”. I’m only human, cut me some slack on this one if you’d be so kind? Because I am a thinker all the time, even when I am asleep, I process everything I observe in my world. And I ponder and I ask my subconscious for answers and eventually they spring forth. 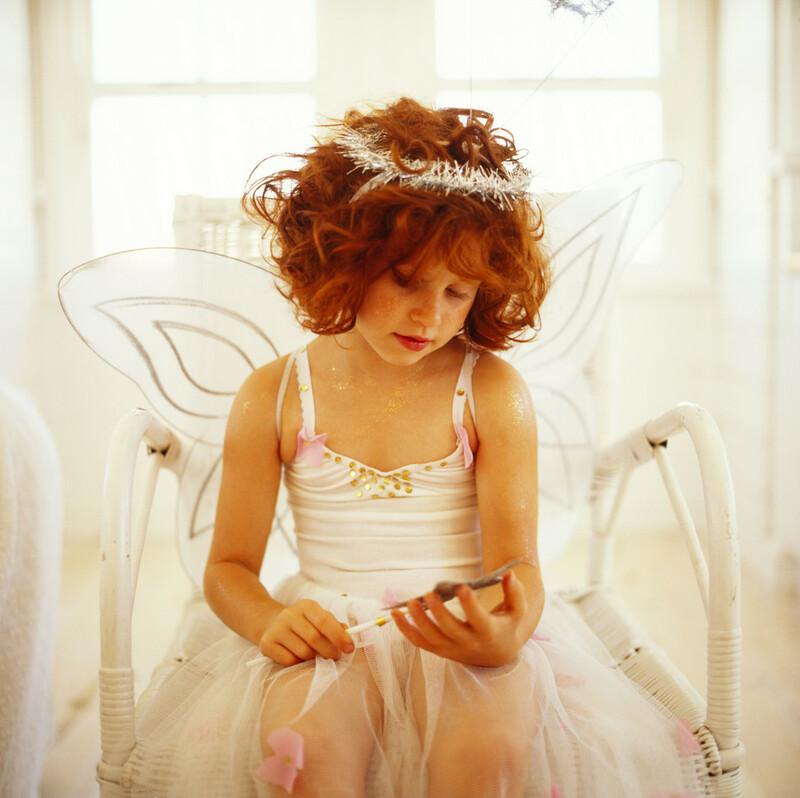 I might not deliberately have phrased the question “Why do I only get Small Magic when my clients get Big Magic?” but the question would have been whirring round in there anyway and an answer would spring forth eventually. That’s another kind of magic in itself if you think about it. And here’s where I think the answer lies, bear with me while I work out how to explain it. I don’t take credit for my clients’ results because they do all the work themselves, that’s how coaching works. But some of them achieve phenomenal things and I end up modelling them, as I have written elsewhere. If you are an observer of people and life, you watch things, you notice things, you try things and you experiment. And I watch and observe and notice my solopreneur clients trying different approaches, like children learning to walk for the first time. Typically this amounts in a fair bit of falling down and plenty of getting up again, encouraged by me and by others. All of them are naturally gifted in some way that they take for granted, just like I do my Small Magic. It’s just a fact in our lives so we overlook it because it’s been there so long. But when I notice and point out their gift to them, show them that they have an operating system going on which works easily and so well they hardly notice, they can amplify that and do more of it and get bigger and better results and faster. But that’s not it either. That’s part of it, but it’s not the whole story. The rest of it is twofold. It’s firstly about showing up and working out what you want and saying it out loud (mostly just to me at first) and then setting off on the path boldly, towards the things you want. And then the magic and the synchronicities start to happen and, at first, they too are Small magic. The bigger stuff happens, I think, because the power of two – or, more specifically, a magical group such as my Club 100 – is much greater than just one person, me or you, say, working on our own. This is proved over and over again in the Cashflow games I run with my clients. There is only so much we can achieve on our own, individually, working in a vacuum, insisting on doing it all ourselves. But when you work in a nourishing partnership or group with like-minded individuals who are at least as dedicated as you are to your success, perhaps even more so, perhaps seeing your diamond-like qualities before you do, then that’s when the Big Magic happens. Its co-creative; part you, part me, part us. You can’t make anything but Small Magic on your own. It starts with you, for sure, but it doesn’t lead very far if you stay on your own, struggling on like the rugged individualist we have all been trained to be. It’s a broken model that only allows for Small Magic. A group like Club 100, where magic is part of our stock in trade, where we start to achieve and share magical results, well…it just attracts more people who believe in magic and so it starts to become a self-fulfilling prophesy. The reverse is also true. If you are unwilling to believe in magic and see it unfold in your own life before your very eyes, then this group is not for you. We like exclamations of spontaneous delight and miracles and you’ll-never-guess-whats. And whilst sometimes we have some scarce and private ‘it’s alright for them but when will it be my turn?’ moments, we all get our magical due in the end. And we document these, so us magicians can be quite scientific too. 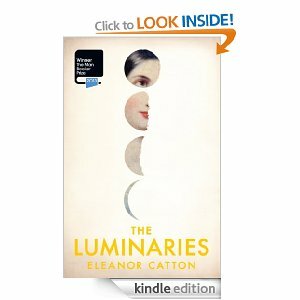 Imagine my surprise then, last night, when I read this in the book which is December’s Book Club choice, The Luminaries by Eleanor Catton, the 2013 winner of The Man Booker Prize, all 849 pages of it. I haven’t got time today to go into how much luck or magic caused Eleanor to win that prize up against, as she was, such stiff competition. You must read the book for yourself to decide that. 849 pages rather puts me in mind of the old adage “the harder I work, the luckier I get”. But I digress. I had been planning to make 2014 my year of Adventure. But today I am contemplating switching my word to magic, Big Magic. Not only do I promise that to my clients via my strapline – Money-Making Magic for Enlightened Entrepreneurs – but I could stand to up my personal game in this regard and match my clients in creating some Big Magic too. Today – New Year’s Eve – already feels very magical to me and quite the right time to be setting that intention, to be instrumental in continuing to co-create a lot more magic in 2014. And here’s my wish for you all – a happy and magical New Year. Only believe.